We're almost into November, which means 2012 will be coming to a close in mere months! It also means calendars for the new year are going to start popping up all over the Internet, and my hands-down favorite one, which I've downloaded and hung up for the past two years, is already here (yay!). 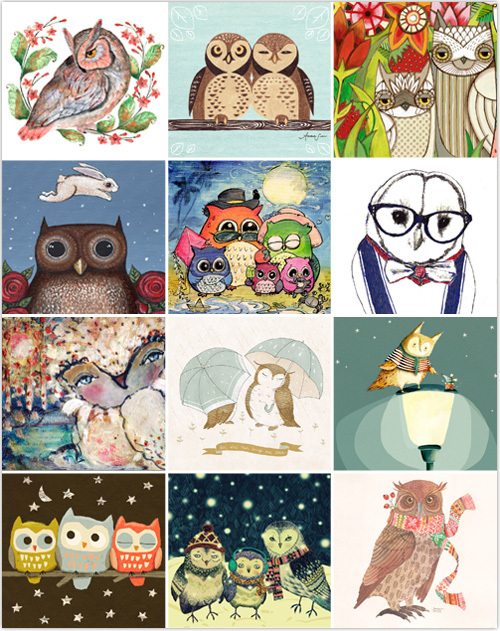 Shivani over at My Owl Barn has yet again rounded up some amazingly talented artists (more than 40 from all over the world) who have donated their time and talent to create some really cute owls for the 2013 Owl-Lover Calendar. All we have to do is hit the download button to make them ours. 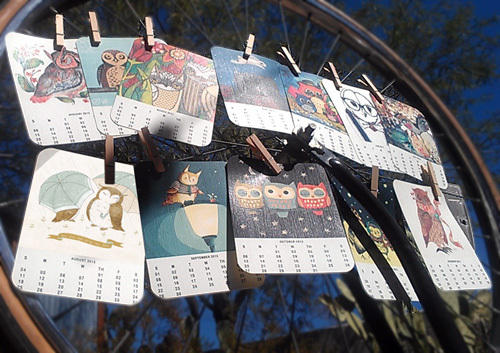 Or, for those of us wanting some creative control, you can pick your 12 favorite owl and create your own calendar. I think it goes without saying that this would make a super cute (and thrifty!) 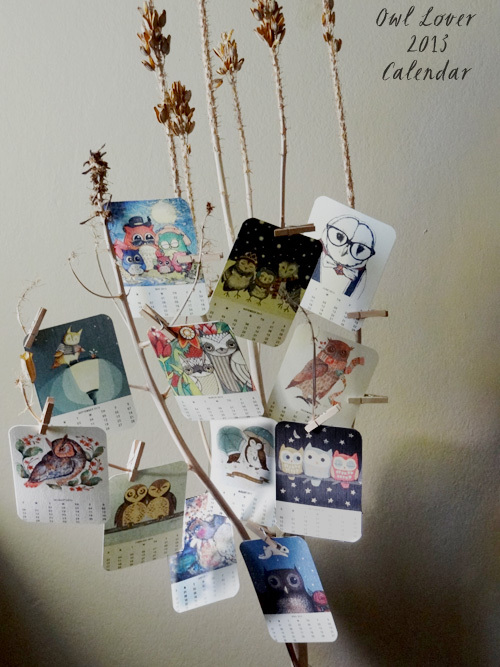 Christmas gift for the owl-lover in your life. So get to it!